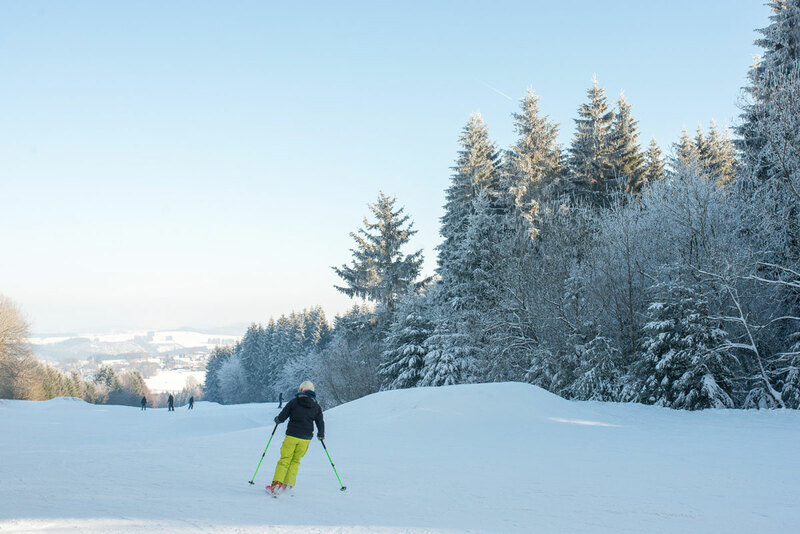 4 places to enjoy the snow in the Ardennes - Oui, go! Winter is here, the temperatures are going down and a wonderful snow carpet covers our grounds. 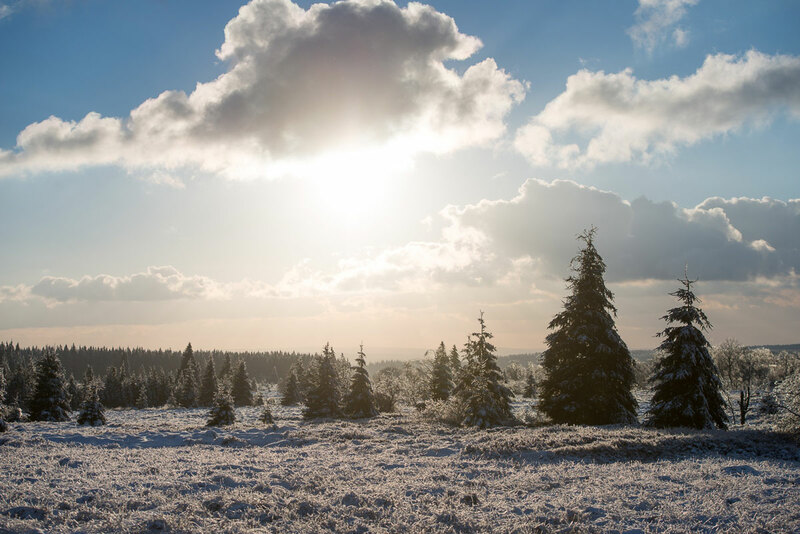 This beautiful season brings out a very different side of the Ardennes. Dressed in its white coat, the region offers, for the happiness of all, many activities, some of which are only possible in this period. 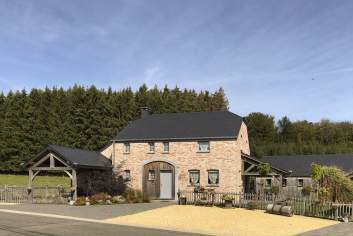 To make the most of it, here is a selection of our favourite places to spend a pleasant winter time. 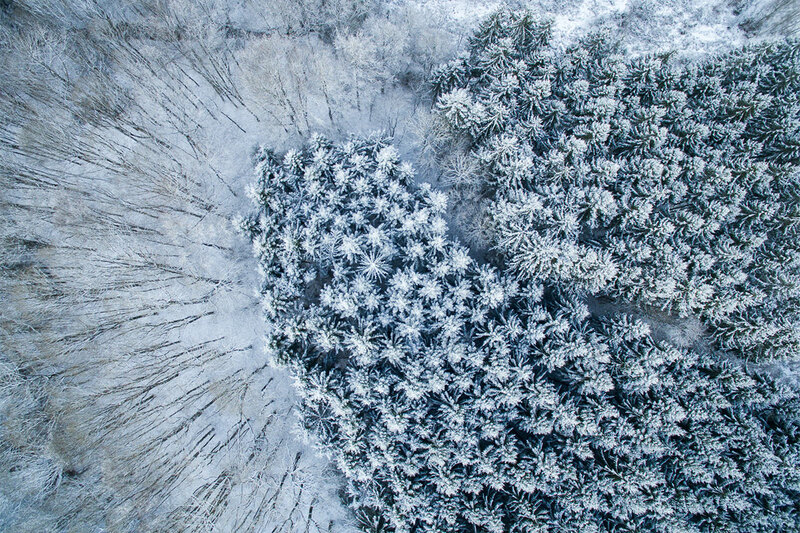 The High Fens nature reserve is certainly a must in any season… But imagine yourself skiing among the fir trees, immersed in these breathtaking landscapes, which are all dressed in white. The High Fens offer the possibility of cross-country skiing starting from the Botrange signal. From there, you can take a track of 5, 6 or 7 km. For the bravest, there are junctions between the different tracks so you can extend your route to 15 or 20 km. Ski rental is available on site. A little further away, in Ovifat, there are three downhill ski slopes waiting for you! The gradient of the slopes varies between 10 and 80%. So you can find something for all levels. And, for the more adventurous, a snow park will brighten your day with its bumps and jumps. 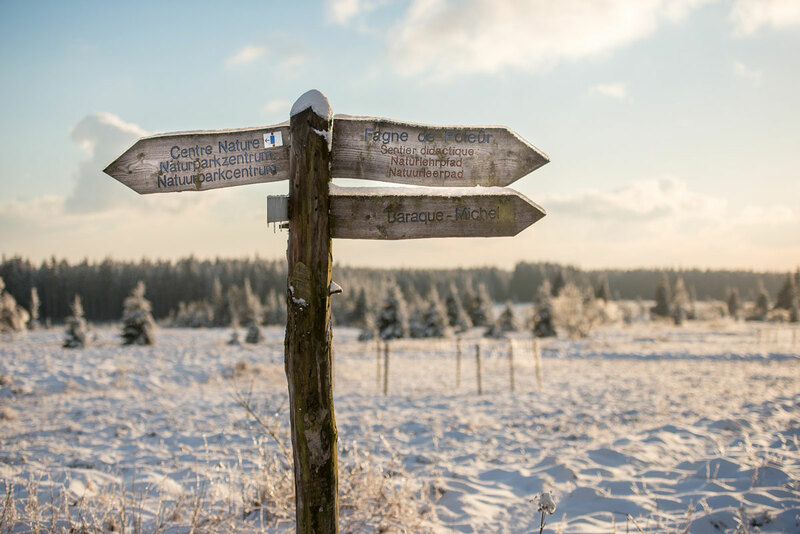 For those who just want to enjoy the snowy landscape during a walk, there are specially marked trails. The access point for these walks is at the Botrange signal, Mount Rigi or the Baraque Michel. 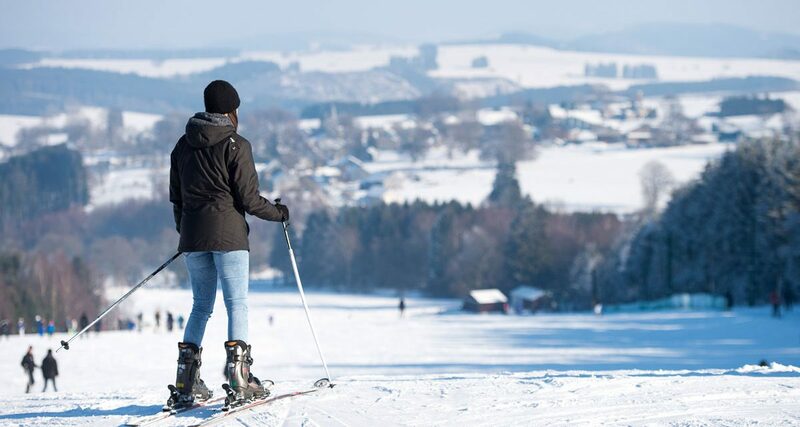 The region of Saint-Hubert is well-known for observing deer but did you know that it is also a true paradise for all types of snow sports activities? Indeed, at the Saint-Hubert aerodrome, you can practice several sports, such as cross-country skiing (there are tracks of 1, 2, 5 or 8 km), snowshoeing or tobogganing. But that’s not all, you can also try out some even more surprising activities! Do you know ski joëring? This activity allows you to ski while being pulled by a draft horse (for non-skiers, it is also possible to be comfortably towed in a buoy ring). 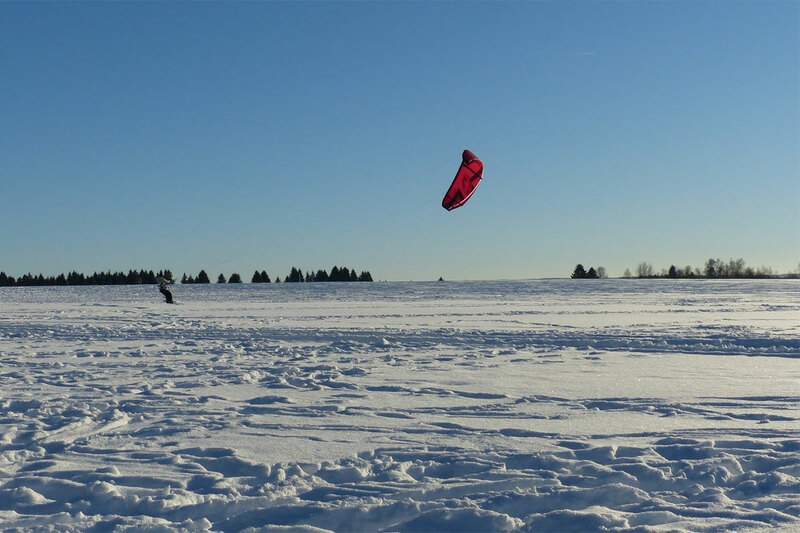 You can also see snow kite demonstrations, which is like kitesurfing on the snow. Finally, for animal lovers, the aerodrome also welcomes canine sports fans. 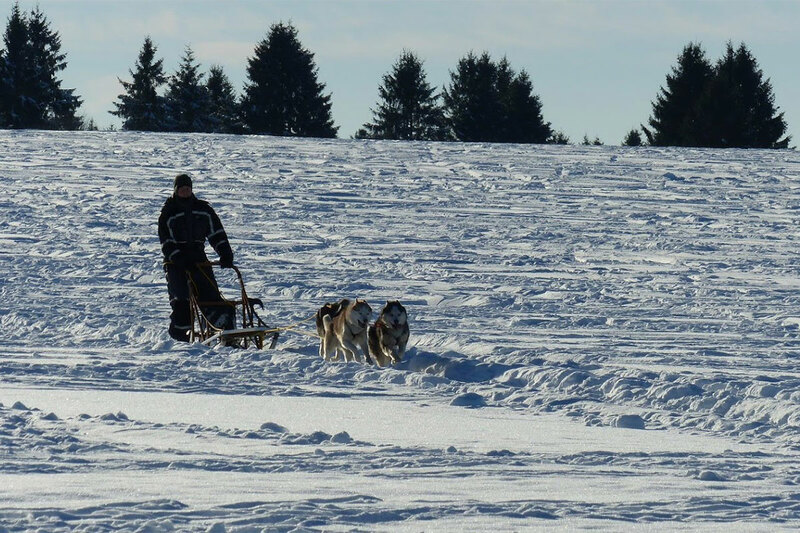 On the program, there are demonstrations of mushing, more commonly known as sled dog training. A great activity that we do not have the opportunity to see every day! 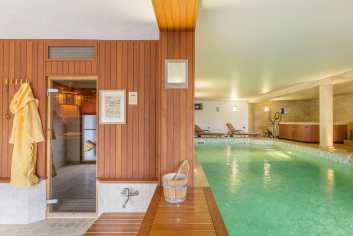 Set on the heights of Trois-Ponts, the Val de Wanne is an activity centre that will delight both young and old. 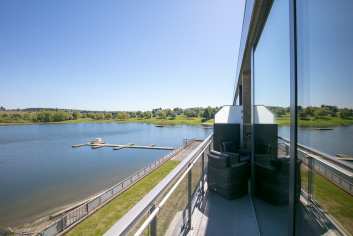 In addition to offering a magnificent panoramic view of the region, this leisure centre features the longest alpine ski slope in Belgium. With 1 km of slides, what more can you ask for? You can also practice cross-country skiing on a 3 km or 8 km course. 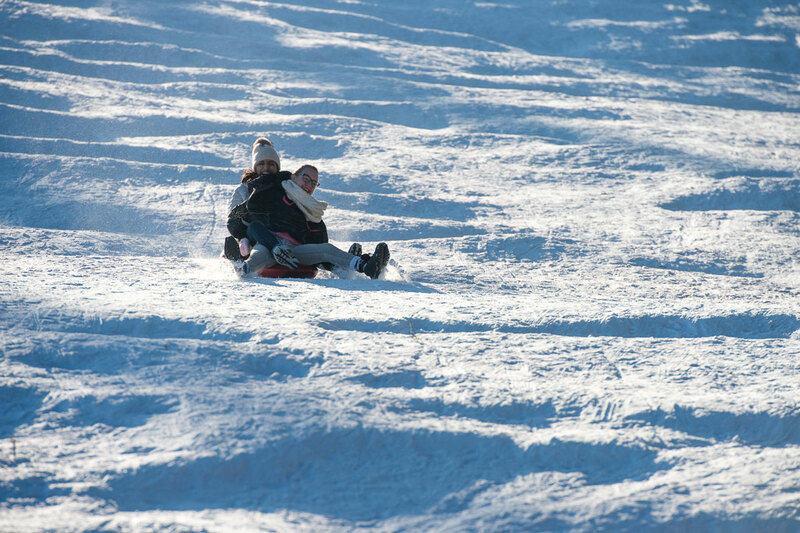 If you are not a fan of skiing, but you like thrills, the toboggan run will certainly delight you. It is possible to descend in a classic sledge, a giant buoy ring and even a snow scooter. 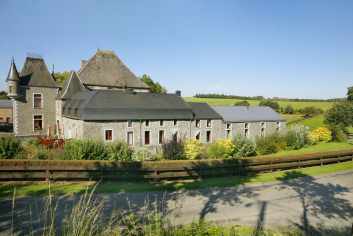 You can access the Val de Wanne directly by car or with the shuttles available in Trois-Ponts. 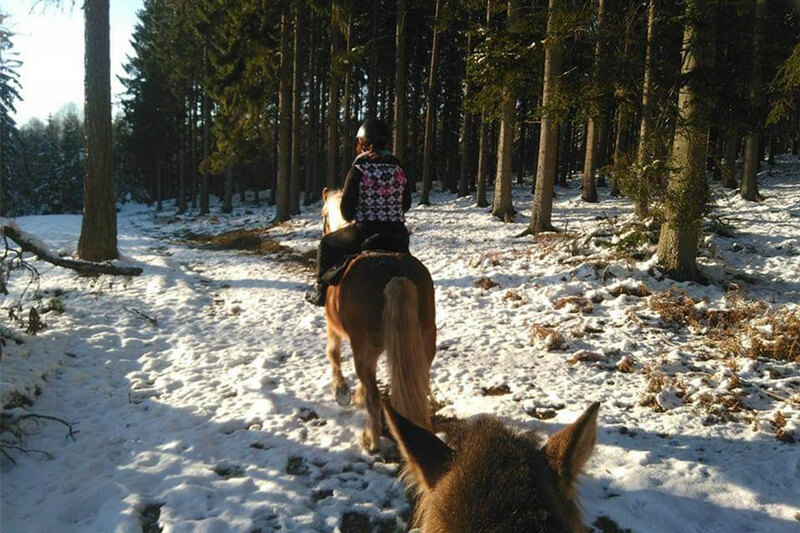 For riding enthusiasts, Mont-Le-Soie is irresistible. 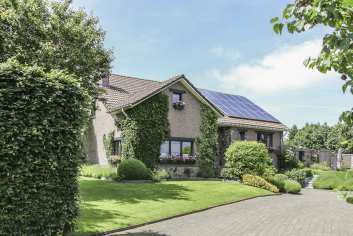 In this locality, on the heights of Vielsalm, you will find the European Centre of the Horse. Starting from this equestrian centre, there are 6 marked horseback trails, designed to be enjoyed all year round. In total, 160 km of marked paths in an absolutely beautiful region in summer and winter. For some real moments of happiness for you and your horse! You can find the itineraries of the walks here. 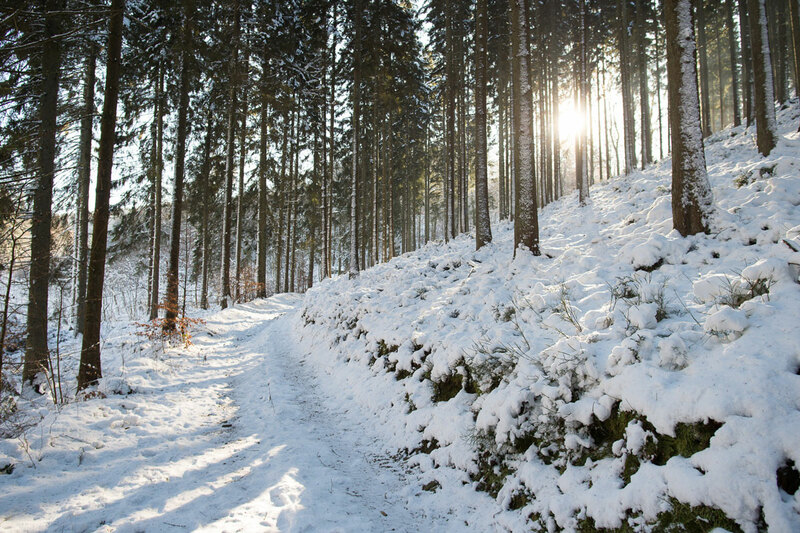 Certainly, there are many places in the Ardennes that offer good snowy experiences. 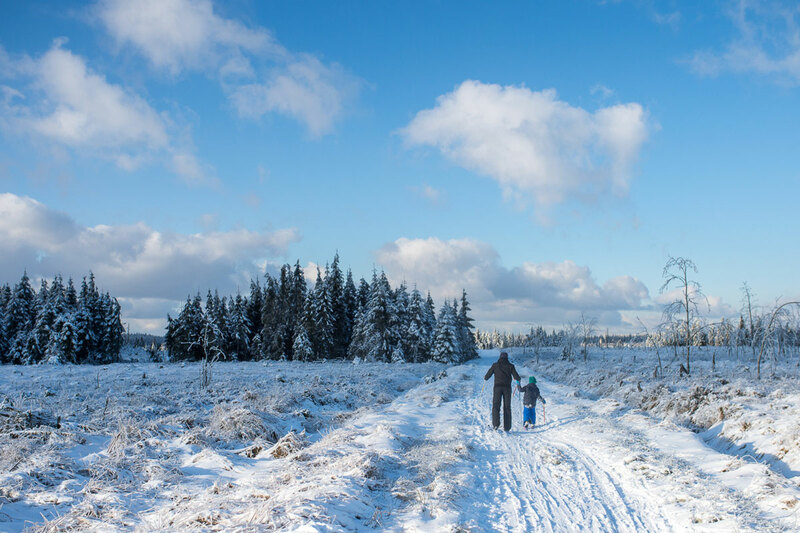 From the first flakes, any Ardennes hike will seem magical and any descent is good to test your sledge. 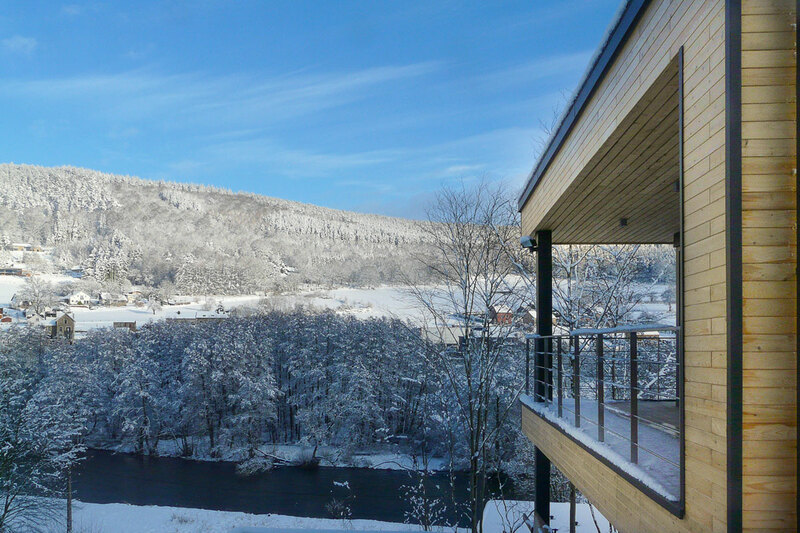 And you, what is the place that you prefer when it snows in the Ardennes? And you? 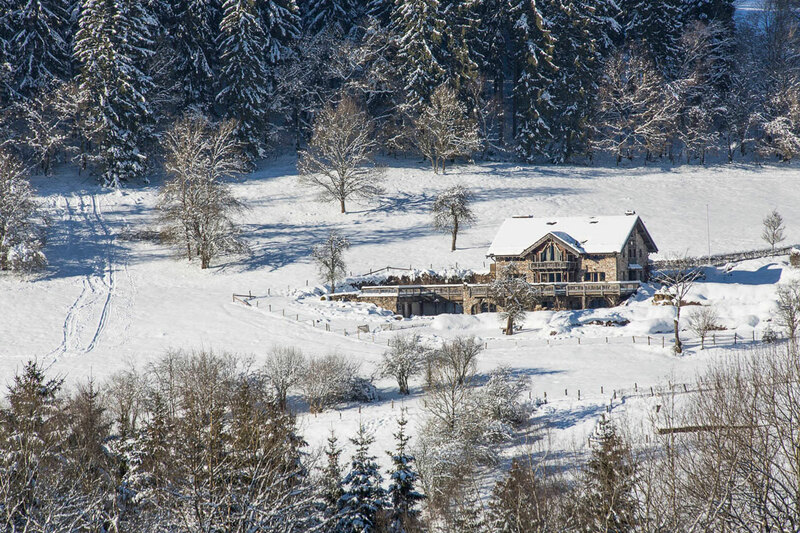 Where would you like to stay to enjoy the winter in the Ardennes?